Thread: X-Post - Why Am I Breaking Things? Loose chainring bolt, I would presume. I would have to agree with Ionsmuse. Is that really a Boone? Doesn't look like a Boone to me, but I'm used to looking at the spiderless ones. Must have been. This was my second ride after moving chainring to inside of cranks and my first ride after adjusting it for chain tension. I don't recall a loose bolt, but one was "less tight" than the other three. I just could not get the damn crap chainring bolt tool to grab after a certain point on the last one. Even if one was loose, or looser, I would never have guessed it could cause all this. That's just no fun. I lost a bolt last year riding Gooseberry, and now I can thank my lucky stars my Surly didn't get turned into a middle school art project. I'm with the Shigganator on this one, five bolts rule. That one c-ring bolt that you couldn't get tight no matter what didn't happen to be for a 2-ring setup, did it (i.e., too long)? Yes, that's what the "spiderful" ones look like. I turned a Surly ring into an oval when I lossed a chainring bolt on my XT cranks. The kick in the pants is I'm obsessive about using a torque wrench. 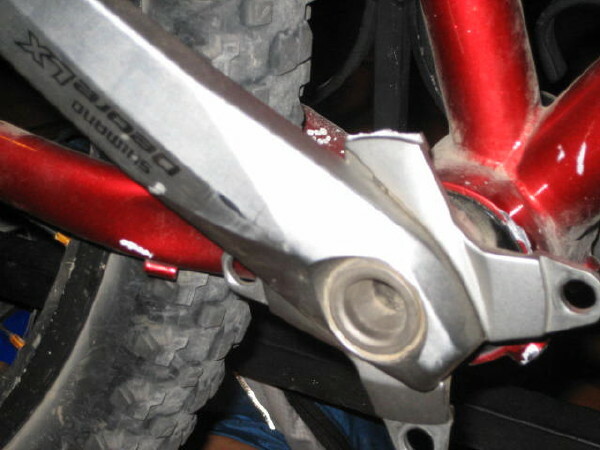 Now I've got to check the torque on the XT's every ride for peace of mind. My Raceface Turbine LP's (5 bolt) have been set it and forget it for the last 6 years. The CR bolt may well be the culprit. Q: Out of the sadddle when it folded? Q: Any latteral flex between rear axle and BB? wel, I've personally folded a XTR splined ring (jericho- not boone- which i had installed improperly) so i can see this happening. note to self- check bolts and throw a replacement into the camelback. You're obviously pedaling too much. Work on your skills. Which was a three-arm ring. Even less support than a four-arm spider though more than when the 4-arm loses a bolt. 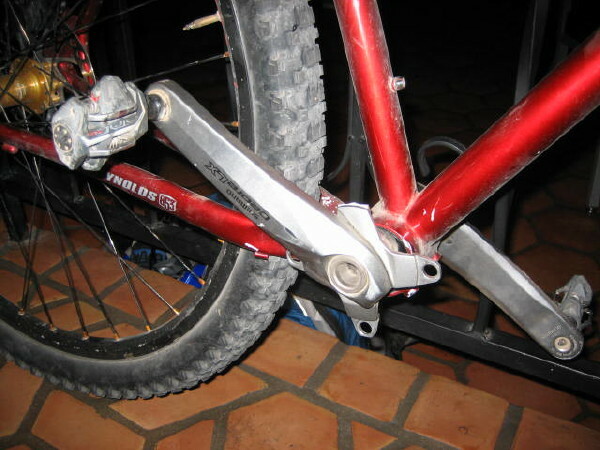 BMX cranks, 1pc chainwheel. You can do it!!!! Nope, it was the right size and same as the others, as far as I know. 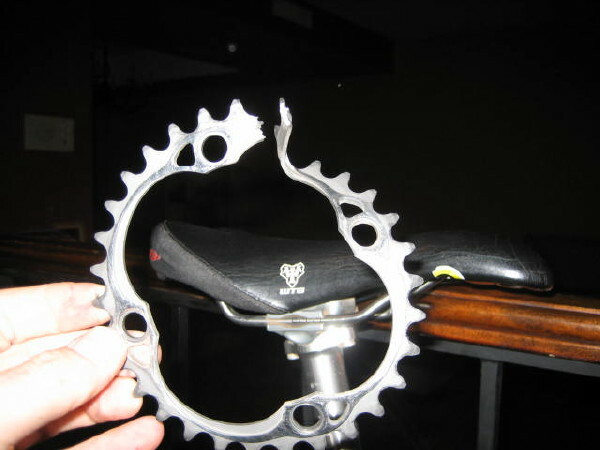 I can see how a chainring would fold if a chainring bolt was loose, but what would cause the crank arm tab to snap off too? For me, Blue Loctite is a must for chainring bolts. 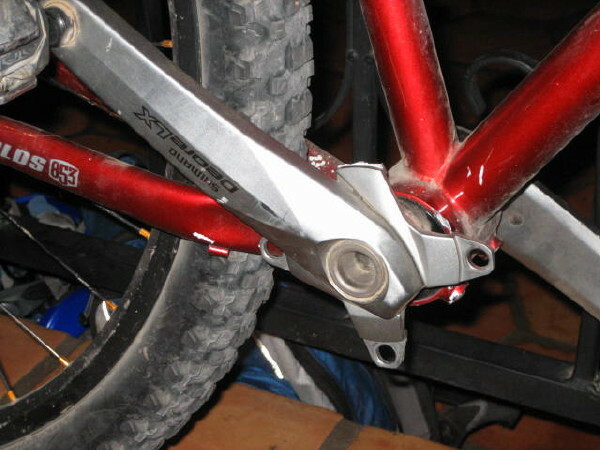 Without some type of threadlocking compound, the rotational force of pedaling tends to loosen even the snuggest of bolts. Stop hopping logs. Looks like the damage is from the lack of a bashring. If all I had was the pics this would be what I would assume. Yes, those Phoenix trees are nasty! The ring being mounted on the inside.